Why DAK Matters Most: We always try to do our best to remind Disney fans how important the Animal Kingdom is. Not just to guests in the park, but also to species and conservation efforts throughout the world. This morning’s Disney Park Blog reminds us of just that. The Guam rail is a gorgeous and flightless bird that went extinct in the wild back in the 1980's. 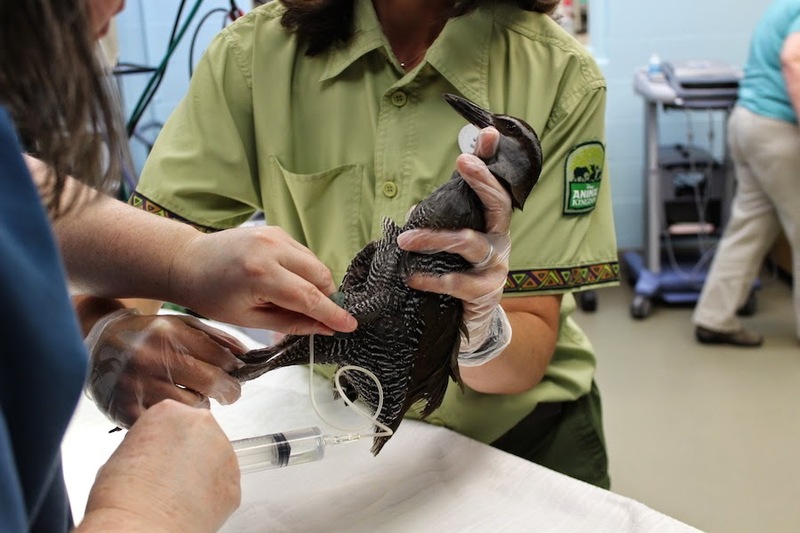 But due to the continuing efforts of zoos and conservation groups, there may just be a chance of the bird returning to the island, and Disney’s Animal Kingdom is playing a huge part in that effort. Have a read and remember to donate to the DWCF and to other conservation groups! Something Big Going Up in Pandora: It’s Wednesday, it’s the News Round-Up, and that means it is time to talk about construction. Last week, screamscape.com posted a photo of the main attraction building going up in Pandora. No need for a drone anymore, you can see this enormous building from your car in the parking lot. Don’t Forget About the Harambe Marketplace: With all of this Avatar talk going on it is easy to forget about another major project , the coming Harambe Marketplace. OrlandoParkNews.com has a new photo update from DAK including a couple of pics from over the walls in Africa.